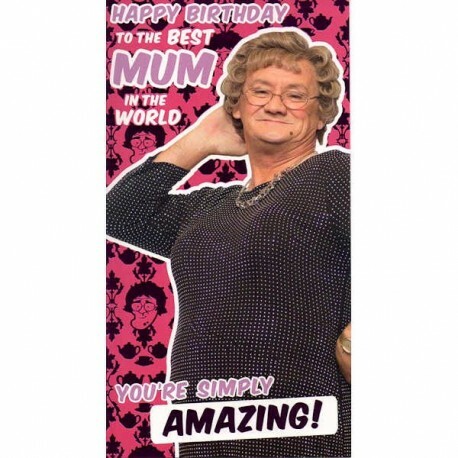 Celebrate Mum’s birthday with a Mrs Brown’s Boys Happy Birthday Mum Card! 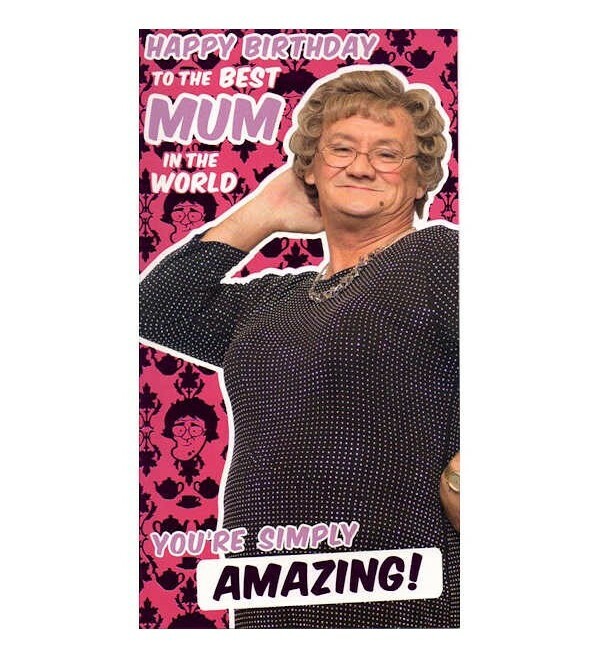 Celebrate Mum’s birthday with a Mrs Brown’s Boys Happy Birthday Mum Card! Mrs. Brown’s Boys has proved a worldwide smash and only goes to show when the times get tough, the tough get laughing. This is a certainty with the Mrs. Brown character played by Brendan O’Carroll. The message on the front of the card says “Happy birthday to the best MUM in the world… The message inside reads "wishing you an AMAZING birthday!.” Lots of space to write your own personal message as well.